The people of Athens voted, democratically, in 427 BC, to put to death the entire adult male population of the town of Mytilene and to throw into slavery the women and children – thousands in all. As a punishment for changing sides in the great war between Athens and Sparta, this was brutal even by the permissive rules of ancient warfare. The next day the voters got cold feet. Meeting again, they reversed the decision, and sent a second message to their commander in the field, canceling their earlier orders. With good luck, incentive payments and favorable winds, this arrived just in the nick of time, before the mass slaughter had been carried out. Under the new ruling, the number of executions barely reached four figures – a selective cull of the leading insurgents. Most ancient writers used this kind of incident not, as we might, as an indictment of Athens’ ruthlessness, but of the incapacity and fickleness of its democratic decision-making process. 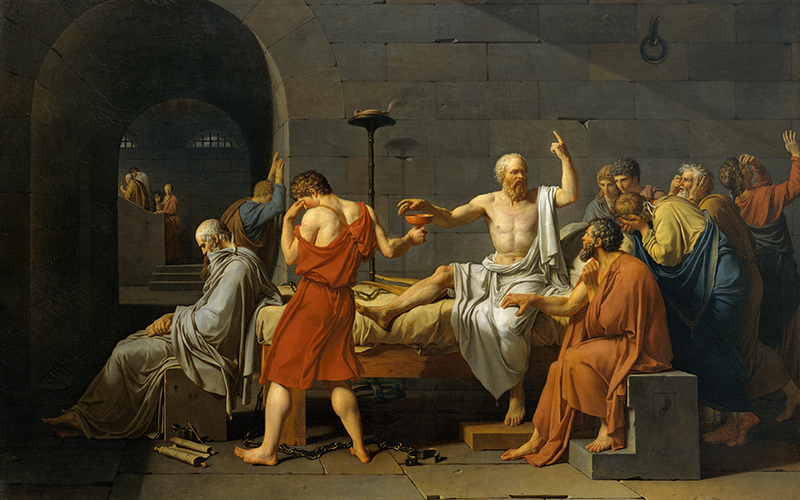 And they had plenty of other examples to choose from – whether the disastrous invasion of Sicily, which effectively lost Athens the war with Sparta, or the execution of the dissident Socrates. Needless to say, all these writers were the equivalent of the ancient rightwing. They were acerbic, sometimes nasty critics of the power of the people, and at the same time victims – from Plato down – of the odd delusion that an intelligent autocrat or an elite cabal was less likely to make military or political blunders than a democracy. All the same there is a stark contrast here with our own modern political fetish, from both left and right of the spectrum, for Athenian democracy. The more that “democracy” becomes an empty slogan – all too often the west’s convenient alibi for intervention in non-western politics (a bubble pricked only when our new democratic converts vote in some regime we don’t much like) – the more we hark back to its ancient pedigree. Think, for example, of the self-congratulatory celebrations of the 2,500th anniversary of world democracy, more than 20 years ago, which fixed on some murky and probably self-serving reforms in 508 BC as the originary moment. It was for this occasion that George Bush Sr penned, or presumably had penned for him, a gushing introduction to a US exhibition catalogue celebrating “The Greek Miracle”. But the Athenian democratic allure extends beyond what was once the Bush-Blair axis, or is now the self confident parades of western liberalism in their interventions in the Middle East. As far away as the Pacific island of Tonga there is a university parading its intellectual credentials with the title “Atenisi” and with a mission to embrace the “democratic ideals” of ancient Greece (www.atenisi.edu.to). This fetish casts ancient democratic Athens as the foundation of modern political virtues: one man one vote, freedom of expression, communal decision-making, the sovereignty of the law and equality before it, and so on. At the same time, it deftly airbrushes out the less appealing aspects of Athenian democratic culture. The well-known exclusion of women and slaves from any form of political action is one factor, but not the only one. And to be honest, even if Athens operated a more thoroughgoing repression of its female population than any other Greek state we know, no ancient culture would score highly here. The more that “democracy” becomes an empty slogan – all too often the west’s convenient alibi for intervention in non-western politics – the more we hark back to its ancient pedigree. The Athenian democracy which we so admire was, in reality, a short-lived and violent political experiment; it lasted 50 or so years in its most radical form, a half-century that saw the assassination of one of the most influential democratic reformers and numerous attempts by the enemy within to betray the city to the undemocratic Persians or Spartans. During its almost equally short-lived empire in the 5th century BC, it imposed democratic government on its satellites with as much ruthlessness (and probably as little understanding) as the West now imagines it can intervene to impose its own version of popular government on very different political systems. It was also a tiny community, with perhaps some 30,000 full male citizens, making its political nucleus roughly the same size as the student population of the modern University of Manchester, or, to put it another way, half the size of modern Sparta. And their citizen rights were fiercely guarded. With a strategy that would endear it to UKIP and other parties of the European right, it made sure that only those born of both Athenian mothers and Athenian fathers would qualify to be part of the exclusive club of citizens. No political integration of migrants or asylum-seekers here. It goes without saying, of course, that there were, and are, many attractive and important features in Athenian democratic politics. For a poor, free, male and ambitious citizen, over a short period in the 5th century, it was surely the best Greek city in which to live: with a chance of playing a full political role (thanks to the selection of most political office-holders by lottery) and of being adequately compensated financially for time taken up with political duties. Pay for taking on public responsibility was anathema to the noblesse oblige attitudes of the rightwing, but a central plank in the sharing of power. Equality of political opportunity between the male citizens was as close to being a reality as it ever has been in history. 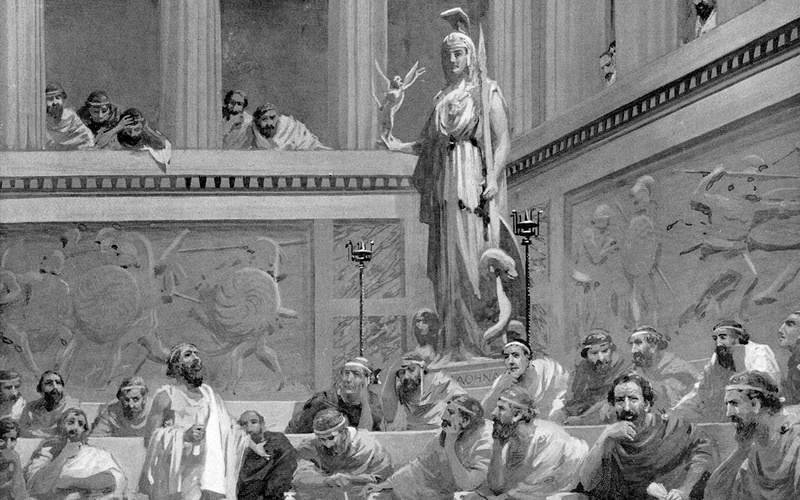 Classical democracy also launched (thanks, ironically, to ancient theorists who were deeply opposed to it) the whole tradition of western political analysis, from Plato and Aristotle on; as well as giving a kick-start to numerous 19th century movements for political change. Most people in the UK have reason to be very grateful that those behind the 1832 Parliamentary Reform Act which brought the vote to many ordinary men in the country, such as the classical historian George Grote, rejected the then standard idea that democratic Athens was a dreadful warning of the dangers of mob rule and saw in it instead a model for the extension of the vote and electoral change. The big problem for the 21st century is surely how to redefine the notion of “people power” (Greek demokratia) so that it can work for vast political conglomerates from which almost everyone feels alienated, and in which power has moved decidedly away from the “people” in any meaningful sense. There is also the need to reconfigure ideas of the rights and obligations of citizenship in the new context of a global political economy that transcends the boundaries of the nation state. In projects of this kind, the founding myth of a small city, the size of a large student union – and with a decidedly unglobal and unmulticultural agenda – is more of a hindrance than a help.